In 1968, the F.S.A.T. issued a set of a stamp honoring the World Health Organization (Scott #31).39,000 were issued, and Scott '14 prices it unused at $65.- . 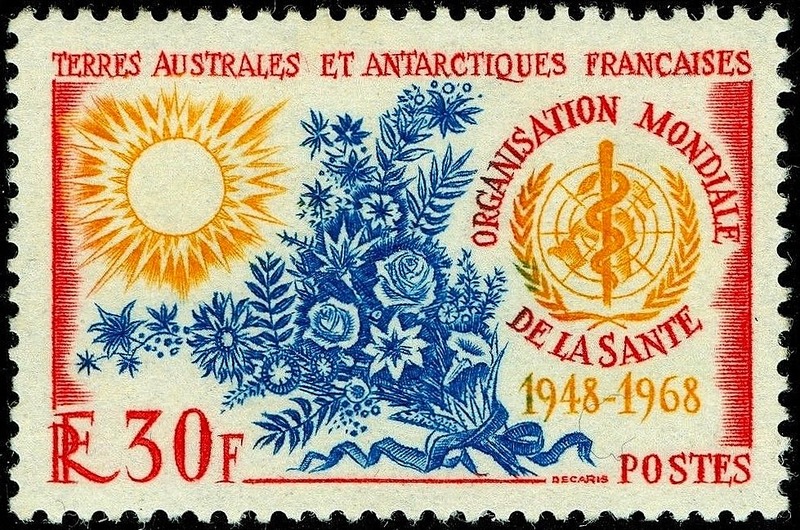 Demand for stamps of the French Antarctic is strong in France and among collectors of French Colonies/Area, and this has obvious topical appeal as both a U.N. and Medicine Topical.